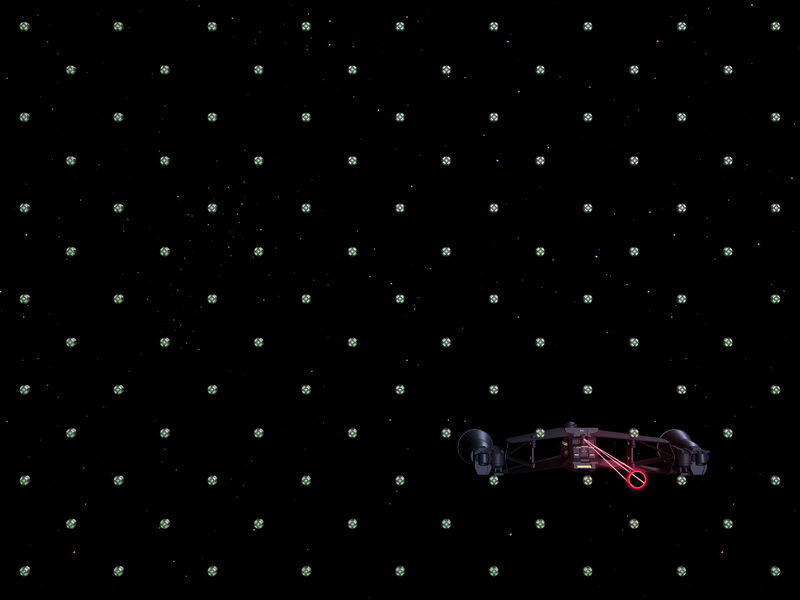 I have to say it would be cool to have real wallpaper (the kind you put on your walls) adorned with the a pattern made up of “The Frontier” seen in The Last Starfighter. For now a desktop wallpaper will do. Initially I set out to have a wallpaper with only The Frontier visible, but it was a challenge. 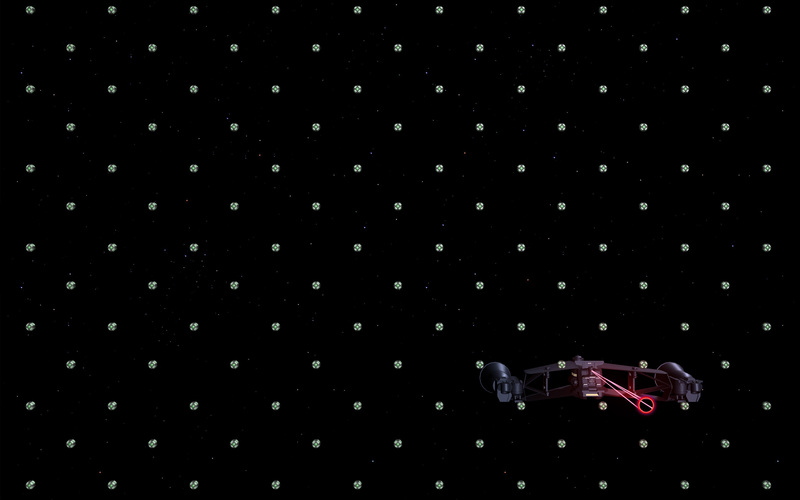 To get the scope of the Frontier, you have to zoom out, making those satellites non-nondescript green dots. To see those green Frontier satellites properly, you need to zoom-in close (losing the scope by having only a few onscreen). So I added the enemy ship to re-create a scene and maintain the scope. Hopefully it makes for a cool pattern that still exclaims Last Starfighter.